Wedding Tip: Practice Getting Dressed! There are so many ways for the schedule on the wedding day to go crazy. I want to help you make your day as smooth (and on time) as possible. So believe me when I tell you important wedding day tips: Practice getting dressed before the wedding day. I love the look of corsets, but they might take 15, 20, even 30 or more minutes to get them done just the right way. And they can be confusing to the un-initiated! And buttons – remind me to tell you about the times (yep, more than once) when the button holes weren’t big enough to go over the buttons. Okay, I guess I just told you. 1. Gather the person (or people) that will be with you to help you get dressed and try it out, from beginning to end. Don’t skip any of the steps or assume you’ll know how it all goes together. Clasp every clasp, tie every bow, and button every button. If you have a corset back, make sure the ribbon lies the way you want it to. Put on your veil and shoes and garter. If you have a bustle, practice that too. Time the entire process so you know how long it will take. I bet it takes more time than you think it will! It might SEEM like 5 minutes but actually take 30 or 45 minutes! 2. Look in the mirror and appreciate the awesomeness. Don’t rely on your final gown fitting for this. 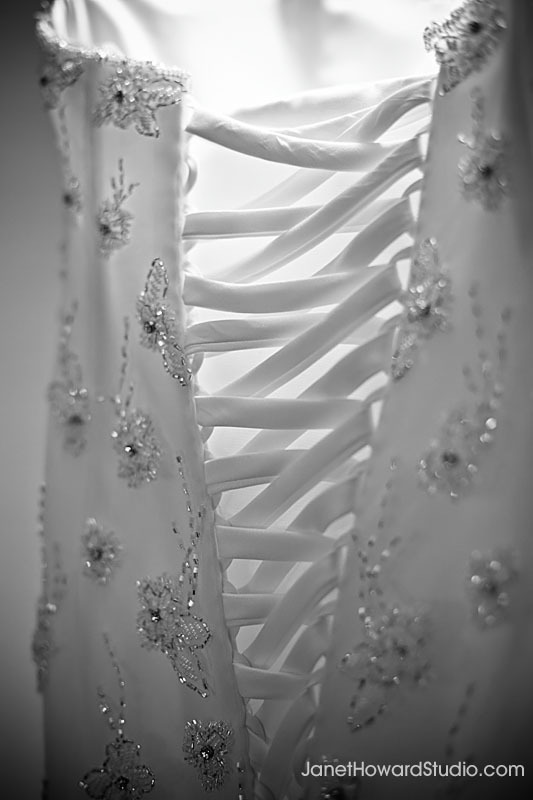 Those ladies at the bridal salon are PROs at doing this, and they will be able to get you into the dress and make any adjustments MUCH faster than your girls. Try to do this at least once, but more if you can. Not only will you know how long it will take, but you and your girls will be more comfortable and adept at getting you ready on the wedding day. And while I’m at it … see if you can get your groom to to a trial run with the tux after he picks it up. That way he’ll be sure he knows what everything is and that it all fits properly. Here’s wishing you on-time schedules and perfectly fitting clothes!